The Volleyball BC Hall of Fame honours athletes, teams, coaches, officials and builders who have had a significant impact on volleyball in British Columbia. Inductees exemplify the best of the best in the history of the sport in our province. All nominations for 2019 are closed. Inductees will be announced shortly. 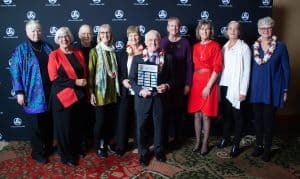 This is a sub-committee of the Volleyball BC Board of Directors and is responsible for overseeing the Hall of Fame selection process, advising on Volleyball BC’s awards and recognition programs, and actively seeking opportunities to nominate dedicated members of BC’s volleyball community for local, provincial and national awards. Terms are 2 years in length. If you are interested, please send an email outlining why you are an ideal candidate to serve as an Awards Committee member to events@volleyballbc.org. Book up to 10 tickets at a time (10 tickets = 1 table). Click the link below to check out partner hotel information. The 2018 Excellence Awards will be presented at the 2019 Hall of Fame. Banquet details above. Deadline for 2018 Nominations for Excellence Awards is December 12, 2018. To nominate someone click here. Please join us in congratulating the following individuals on their induction into the Volleyball BC Hall of Fame. The VBC Hall of Fame honours British Columbian individuals and teams who have raised the profile of our sport and deserve recognition among the best of the best in the history of volleyball in BC. Helen Hunt was already an extraordinary athlete before taking up volleyball. In 1955, she won gold in the women’s 100-metre freestyle at the Pan Am Games and set a new world record for the 100 free short course yards the following year. After representing Canada in several international swimming competitions, Helen then applied her athleticism and determination to volleyball. 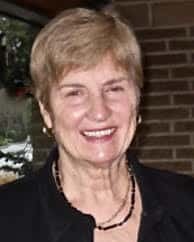 During her volleyball career, Helen won 11 national club championships, led the Vancouver Calonas team to third place at the USAAU Championships, and played on four Canadian championship teams in 1964 and 1966-68. She was also a member of the 1967 Canadian Pan Am Games volleyball team that placed sixth, the 1971 Canadian Pan Am team that placed fifth, and the 1973 FIVB Volleyball Women’s World Cup team that placed seventh. 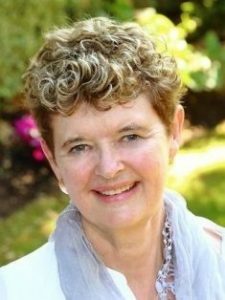 In addition to her time as a player, Helen coached teams from Van Tech and Killarney Secondary, served on the BCVA board, and was the first female volleyball commentator on TV during the 1976 Olympics in Montreal. 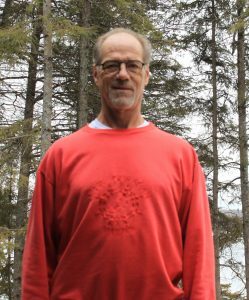 Larry Plenert started playing volleyball for John Oliver Secondary School in 1970 and was named MVP of BCVA junior men’s provincials in his second season. He became a Team BC player shortly after, and helped the squad secure bronze in the Canada Summer Games and second place at the National Senior Men’s Championships. Larry continued to develop by playing for the University of Winnipeg Wesmen, leading the team to two consecutive CIAU Championships, and earning both the Canada West and CIAU 1st All-Star Awards in 1974. He went on to spend 10 years playing for the national team and represented Canada at the NORCECA Championships, FISU World Student Games, FIVB World Championships, Pan Am Games, Olympics Games, Friendship Games and Canada Cup. Within his international tours and competitions, Larry also played in the IVA professional league for two years. 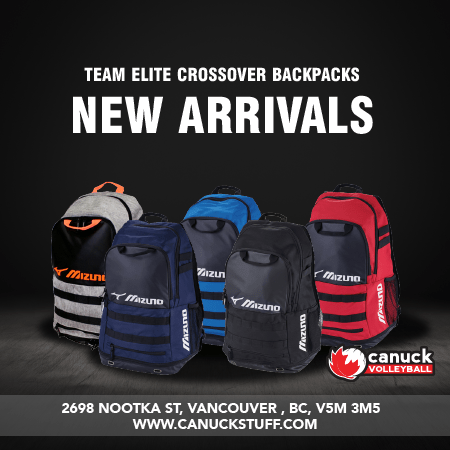 During and after his professional volleyball career, Larry coached several teams such as Rosthern Junior College, University of Saskatchewan, Trinity Western University, Walnut Grove Secondary, Team BC and Fraser Valley Volleyball Club. He and his Wesmen championship team were inducted into the Manitoba Hall of Fame in 2015, followed by the Manitoba Sport Hall of Fame in 2016. 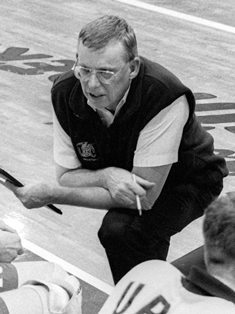 Art’s began coaching volleyball in 1966 when he created the Calgary Cals Volleyball Club in Alberta. He then moved to Vancouver in 1970 and began coaching the Vancouver Calonas, later known as the Chimos. As head coach, Art led the Chimos to a total of 10 National Championship titles from 1967-77—including an undefeated record of 107 wins during the 1972-73 season. Art went on to served as the assistant coach of Canada’s 1971 Pan Am Games women’s volleyball team. He was then named as the Canadian women’s national team coach in 1973 and won a silver medal at NORCECA Championships in Mexico. He also raised Canada’s international profile in the sport by organizing games with teams from East Germany and China. 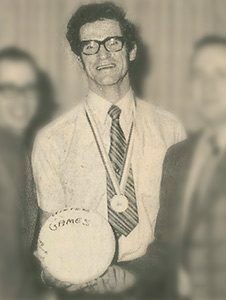 As an administrator, Art served as President of the Canadian Volleyball Association (CVA) from 1973-78. He also served on the Bid Committee for the Women’s National Volleyball Team Training Centre and on the Trust Board for the Richmond Olympic Oval of the 2010 Winter Olympics. 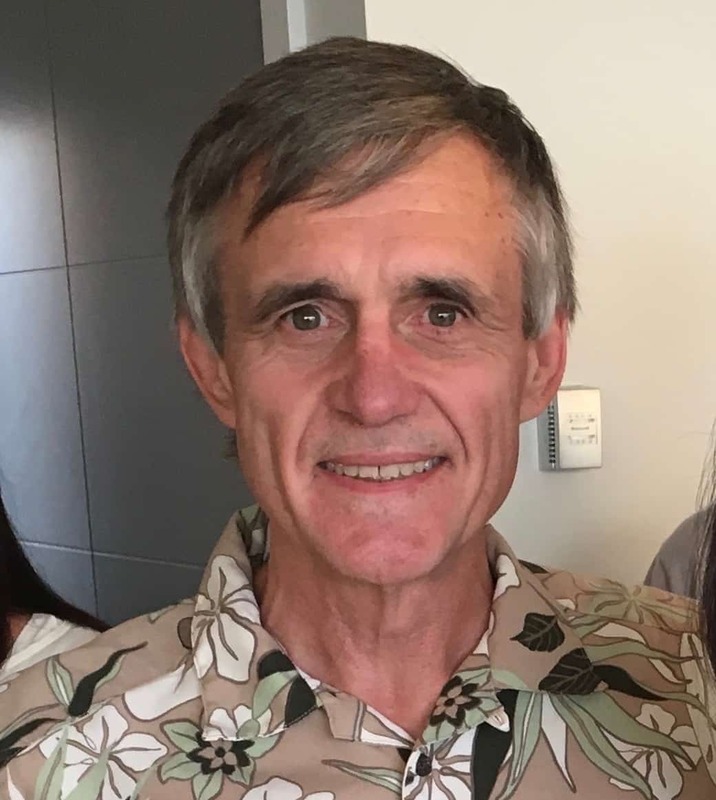 Ray Myrtle started his volleyball journey in high school playing for Templeton Secondary, then returned to coach the school’s teams alongside Gordon Chamberlain. In 1971, Ray and Gord were hired by Volleyball BC to promote the sport in elementary schools, and they developed a number of teacher workshops, player clinics and summer camps throughout the Lower Mainland. Ray moved to Kitimat, BC in order to work and save for his dream of studying volleyball in Japan. While in Kitimat, Ray set up a men’s volleyball club and was very involved in the development of additional clubs around the province. He then made the journey to Japan, and shadowed the Takaiku Kikchui high school championship team and the Olympic men’s gold medal team. He also met with the Japan Volleyball Association and established the Iwate Exchange Program to benefit Canadian and Japanese players. Ray returned to Canada and spent two years in Kamloops to create the first two U14 Batam provincial championships that continue today. 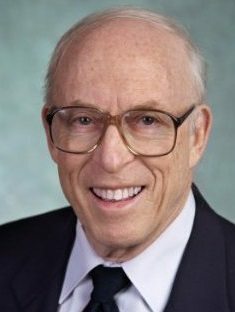 He then moved back to Vancouver and became BCVA’s vice president of development in 1977, then its technical and executive director in 1978. 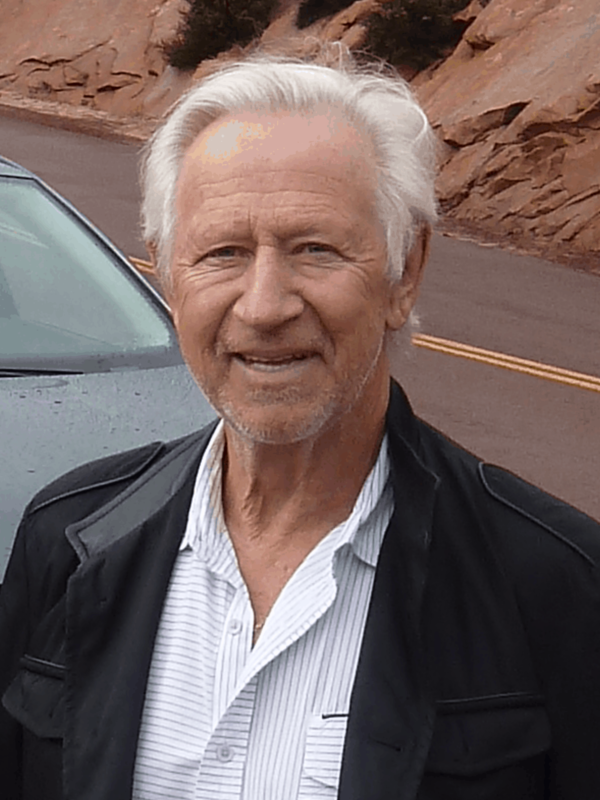 After Ray left the BCVA, he remained involved by teaching camps in Canada and the USA. Patty’s passion for volleyball developed throughout the 1970-80s as she played for the BC women’s provincial team, Canadian junior and senior women’s national teams, and professional teams in Italy. She retired from playing in 1987 due to a back injury but quickly discovered that that coaching was how she could give back to the sport she loved so much. 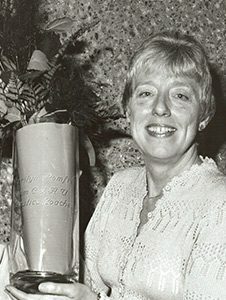 Patty went on to support the province’s volleyball community for over 20 years. Her impressive coaching and leadership experience includes the University of Victoria, Simon Fraser University, Langara College, the BC Pac Rim team and the BC wheelchair volleyball team. Patty also became Volleyball BC’s Coaching and Technical Development Coordinator, and Chair of the Coaching Committee. She co-created the Coaches Code of Conduct during her tenure at VBC, which is still the foundation for guidelines used today. In addition to these accomplishments, Patty was one of the first women to reach Level 4/5 of Canada’s National Coaching Certification Programme. She became a NCCP Course Conductor and went on to instruct at the National Coaching School for Women. She also became a board member of ProMOTION Plus, the provincial non-profit organization that advocates for the advancement of girls and women in sport. Jane Kublick started to referee at the age of 16 when her high school physical education teacher asked her to referee volleyball games for the younger grades—and that became the first step to her tenure as a respected official. By the age of 18, she achieved both provincial and regional level certifications and was already officiating post-secondary games. 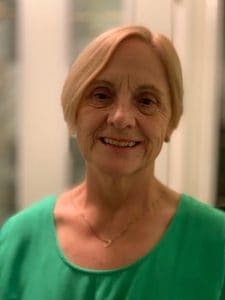 While studying education at the University of British Columbia in 1976, Jane formed the Kanaka Volleyball Club with Carl Hensel and coached the program for five years. 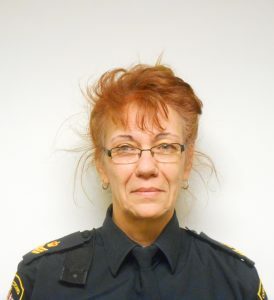 She was also involved with the Chimo Volleyball Club and the Canadian national women’s team, which provided plenty of opportunities to referee.Jane’s pursuit of volleyball and teaching took her to Japan from 1989-95, where she was one of the first Canadians to officiated numerous matches in the country. Upon her return to Canada, she went on to referee for the Pacific Rim Championship, BC Winter Games, CCAA and CIS Championships, several NORCECA competitions, FIVB Women’s Grand Prix and more. She continues to be a familiar face at provincial and national tournaments to this day, and dedicates time to helping promote and mentor other female officials. The 1971 Vancouver Calonas were part of a dynasty that dominated women’s volleyball in Canada from 1966-75 and won nine consecutive National Open Championships. In Vic Lindal’s last year as head coach, the 971 team played an undefeated regular season. During January of 1971, the Calonas travelled to Los Angeles for the Three Flags Tournament, where they beat the USA’s best teams and finished second to the Brazilian national collegiate team. For the 1971 Pan Am Games, ten of the 12 players that made women’s volleyball team were from the Vancouver Calonas. Head coach Vic Lindal, assistant coach Art Wilms and manager Margaret Harris were also from the Calonas. Their team became the first to beat the USA in international play and finished fifth. Several players from the Calonas and Pan Am Games team also went on to play for Canada in the 1976 Summer Olympics. To top off the team’s historic year, the Calonas won Sport BC’s Team of the Year Award for second year in a row. This was the only volleyball team to ever win this honour and the only team of any sport with consecutive awards. Mary Macdonald moved to Vancouver from Toronto and immediately had an impact on volleyball in B.C. After having success winning four National Titles with the Toronto V-Club, Mary helped found and turn the Vancouver Alums Volleyball Club into a national powerhouse, winning National Championships in ‘64 and ‘66. At both those tournaments she was named the MVP and an All-Star. While competing in the USA, Mary garnered All-Star status while competing in the American National Volleyball Championships (Philadelphia, 1962) – the first foreigner to do so. Aside from being an elite volleyball player, MacDonald was also one of Canada’s finest basketball players and was considered Canada’s best all-around female athlete of her era. Most Hall of Fame journeys start from being exposed to a sport at an early age, but Greg Russell’s journey to volleyball dominance didn’t start until his Grade 12 year at Claremont Secondary School in Victoria, B.C. From there, Greg would go on to star at UVic for five years and then on to the Canadian National Team, where he was one of the toughest, most imposing middles in the sport, from 1974-79. He would represent Canada Internationally at a variety of events, with the highlights being, the 1974 World Championships, the 1976 Olympics and the 1978 World Championships. Once his National team journey wrapped up, Greg moved on to play few years professionally in the International Volleyball Association, before returning to B.C. to continue playing for various Senior Club teams in the Lower Mainland. It is entirely possible, that no one has committed as much time to coaching and mentoring in B.C.’s volleyball community than Kent Andrews. Kent was first introduced to the sport of volleyball in 1949 at Willington Beach (Powell River, B.C.) on a grass court that was set up by adults, many of whom served in World War II, and the game has been with him ever since. Along the way, Kent has touched many lives, coaching various high school teams, performance teams, at UVic and as part of the first Team BC Program in 1973, coaching the girls team. 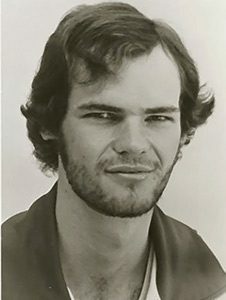 Kent would go on to lead them to Gold at the 1975 Canada Winter Games in Lethbridge, Alta. He was also instrumental in bringing the Pacific Rim Championships and is the first Canadian coach to lead a Canadian team (Team BC) to a win over Japan in sanctioned event. Kent has also officiated at nearly every level of volleyball and completed his Master’s Degree thesis on “Teaching Volleyball Skills to Beginners”. biggest contribution is the lasting legacy he’s left with the players who played for him that are now some of volleyball’s brightest and best teachers of the game. Gary McWilliam first got involved in the sport of volleyball as a coach in 1970, but quickly realized that for the sport to thrive, the sport would need to build upon its most scarce and valuable resource: qualified and highly trained officials. 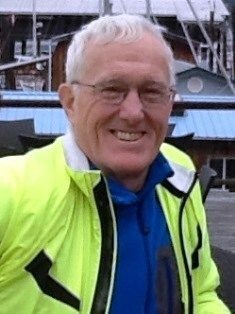 In 1971, Gary received his Provincial referee designation ,and continued on, earning his Regional referee designation in 1977 and his National referee designation in 1980 – serving as B.C.’s Regional Officials Chair (ROC) from 1979-88. In his time as ROC Gary improved the standard of officiating in B.C. by implanting several changes and programs, such as, a monthly newsletter, a Novice officials program, roll-out of the new local level one official’s certification and a more professional looking standard dress code for officials. Gary has also mentor Volleyball BC Hall of Fame Officials, Jeff Gogol, Howard Hum, Vale Savege and Harish Dalpatram, as well as, officiated several high level volleyball events. The 1966-67 UBC Thunderbirds Men’s Team are considered by many to be pioneers for how the game is played today. This young, up start group coached by Eric Lessman was one of the first teams in the country to switch from a 4-2 system to a 5-1 system, which lead to plenty of headaches for opposing players and coaches. 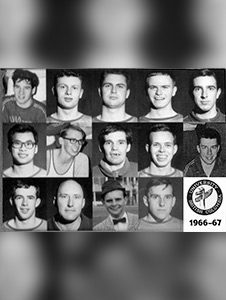 The Thunderbirds finished the 1967 season winning the first ever CIAU (now U Sports) National Title, the National Junior Championships, capturing Bronze at the National Open Championships and representing Canada at the 1967 Summer Universiade (World University Games) in Tokyo, Japan. Three members of this team would go on to represent Canada at the 1967 Pan American Games. Keith truly represents what it means to be an Athlete for life. Growing up in Revelstoke, Keith led his high school team to 4 consecutive High School Provincial Championships earning all-star’s and MVP’s in 1971. After high school he moved on to play for UBC leading his team to consecutive CIS finals in 1976 and ‘77 and coming away with a gold in ’76. 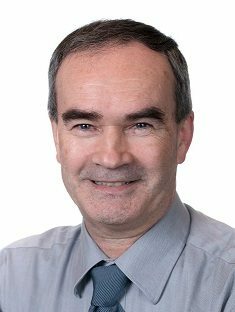 Proceeding his CIS career, Keith played on BCO Sr. Mens team and received Canadian Championships medals 2 consecutive years (gold in ’78). He also played professionally for the first North American Pro League with the Salt Lake City Stingers. He continues to play in masters championships such as: 2000 Canadian Masters (Champion 35+); 2008 Global Cup Masters (Champion 50+); 2010 US Open Masters (Champion 55+); 2016 America’s Masters Games (Champion 60+). Keith is a player to be reckoned with and will remain an athlete for life. Liz Cordonier is one of BC’s most celebrated volleyball athletes having been awarded every honour possible for a student athlete. As a BC native, Liz thrived as an athlete with Team BC and was awarded the Ray Lepp Scholarship. Liz competed for 5 years as a member of the record setting UBC Thunderbird Women’s Volleyball team achieving 3 National CIS Championships. During her tenure with the team, Liz was recognized as the UBC Female athlete of the Year, Canada West Player of the Year, CIS All Canadian, CIS Player of the Year, CIS tournament MVP, and the prestigious BLG Award distinguishing her as the top CIS Female Athlete across all sports. 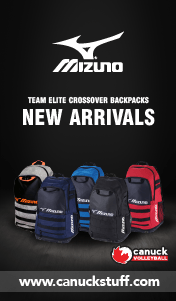 Liz was a member of Team Canada’s Women’s Indoor program for 4 seasons and played professionally in Europe in 2010-12. 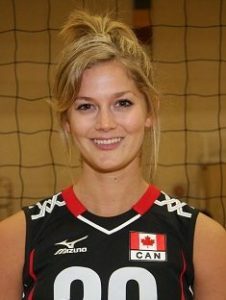 Liz was also a member of Canada’s Beach National team in 2009-10. Jeff Gogol always believed in the importance of the Officials Program to the sport of Volleyball and was instrumental in formalizing the program within Volleyball BC. He introduced written policies and procedures to ensure consistence and transparency and improved the Local and Provincial certification to take into consideration different learning styles. Jeff is the type of referee who gave back more than he received through countless hours of mentorship and program management. Jeff moved through the ranks quickly and received his National Level certification in 1989. However, his further success as an official can be attributed to his passion for beach volleyball. Jeff attended the first ever National Beach Referee Clinic in 1996. He went from growing the indoor game to furthering the outdoor program. Jeff participated in many FIVB and pro beach tour events in Canada. Ron’s involvement in developing volleyball in British Columbia covers every facet possible: coaching, officiating, and administrating. His passion began with founding the Victoria Y Volleyball Club, coaching with them for 21 years. His teams went on an incredible streak winning eight of nine BC Juvenile (18U) Championships and over 14 total titles including the National Juvenile Championship in 1979. Along the way he assisted with the provincial team, was instrumental in establishing an exchange program with Japanese teams, and coached a tier one senior women’s team for seven seasons. Ron was also passionate about officiating. He advanced to his level three certification where he delivered a myriad of courses, mentoring and certifying over 500 officials during this time. He also officiated some important matches such as the Pacific Rim Men’s finals and the Canada Winter Games in 1975. As an administrator, Ron served on the BCVA (now Volleyball BC) board for 16 years acting as president for three of those years. One of Ron’s biggest accomplishments was increasing BCVA’s registration by using his previous organizational skills, as well as implementing regulations, from 120 members to 2000 the next year. Ron is an Honorary Life Member of Volleyball BC and received the Founder’s Award in 1993. Boris Tyzuk’s contribution to volleyball exemplifies integrity and a true passion for the growth and development of the sport. Boris has served as an athlete, official, coach, and board member for Volleyball BC, Sport BC, and Volleyball Canada. 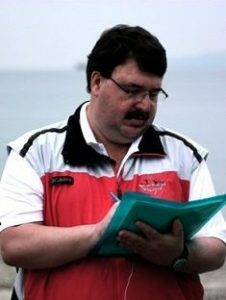 Boris was one of the driving forces and a co-founder of the Vancouver Thunder Volleyball Club. He spent his efforts on mentorship of coaches and athletes alike. Boris’ understanding of grassroots development in the bigger picture has served volleyball well. His most valuable contributions have been serving as administrator/board member across many organizations and committees. Some of these include: director of Manitoba VA, Director/President/Board Member for BCVA and now Volleyball BC, Director of Volleyball Canada, Chair of the Volleyball Canada’s Beach volleyball committee, Board member of Thunder Volleyball Club, and the Chair of Canada’s Men’s National Team committee. Boris has contributed his valuable professional skills to our sport, and has made an integral contribution to the development of BC volleyball in general. Boris is an Honorary Life Member of Volleyball BC and received the Founder’s Award in 1997. Born and raised in Vancouver, BC, Carole Bishop is well regarded as a world class athlete, having represented Canada in the Olympic Games, and in various international championships, including Pan American Games, World Championships, World Cup and NORCECA tournaments. Selected to the first‐ever Canadian Women’s National Volleyball Team in 1967 at age 16 to play in the Pan American Games, Carole was the first string setter throughout her 12 years on the National Team. 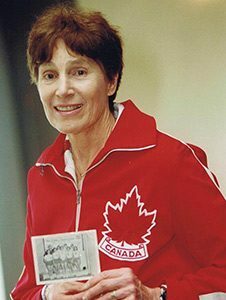 From 1966 to 1983, Carole was also an integral part of a dominant women’s club team that won Senior Women’s National Championships in 14 of her 16 years with the club, Carole was inducted into the BC Sports Hall of Fame in 1988, and into the Volleyball Canada Hall of Fame in 2004. Conrad Leinemann was born in Kelowna, BC and played for the University of British Columbia (UBC) Thunderbirds from 1990 to 1994, during which time he won numerous CIS accolades including Canada West All-Star and First Team All-Canadian, was named team captain for his last two years with UBC, and received the Bobby Gaul Trophy as UBC’s top graduating athlete across all sports. 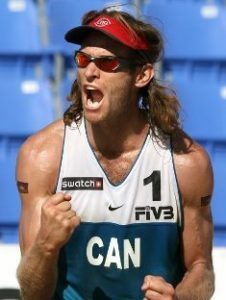 Conrad went on to become a dominant beach volleyball athlete, winning the gold medal at the 1999 Pan Am Games with partner Jody Holden, as well as National Beach Volleyball Championships in 1995 and 2001, and representing Canada at the 2000 Sydney Olympics. Conrad went on to compete in the FIVB World Tour for 14 seasons and clocked the fastest serve in 2005 at 104.4 km/h. For over 40 years, Dale Ohman has had a hand in developing athletes from across British Columbia through coaching high school volleyball, the Winfield and Williams Lake Camps, BC Provincial Team programs, and as Head Coach of the UBC Men’s Volleyball Team. During his 25 years with UBC, he was twice named CIS Coach of the Year and Canada West Coach of the Year five times, became one of the first full-time head coaches ever in the CIS, and saw nine of his UBC athletes selected to the Canadian National Team. Dale has mentored a number of top level coaches and been instrumental in developing boy’s and men’s volleyball in BC. He served as Coaching and Men’s Provincial Team Chair for BC Volleyball Association (now Volleyball BC) and on the BC High School Boys Volleyball executive. Harish Dalpatram’s contributions to volleyball in British Columbia are far reaching, but arguably his greatest accomplishments were achieved as a referee. Harish was first certified as a Provincial official in 1971, gained his National certification in 1977, and by 1983 became the youngest International referee in Canada at the age of 32. 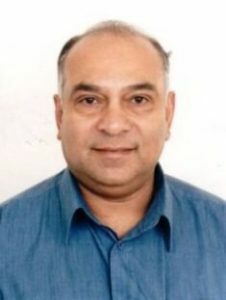 Harish officiated numerous Provincial and National Championships, and internationally at the Pacific Rim Championships, the Arctic Winter Games, and the World Junior Championships in Curitiba, Brazil. He was an administrator, evaluator, and mentor to young referees. Harish was also a dedicated coach, and Tournament Chair for BC Volleyball Association (now Volleyball BC) and the Pacific Rim Championships. A well-respected leader for over 37 years in the volleyball community, Howard Hum earned his first officiating certification in 1978. A fixture at Provincial and National Championships over the past several decades, he gained his National certification in 1994, Beach National certification in 1997 and National Referee Clinician and Supervisor in 1999. Howard has held leadership roles within the provincial and national officiating groups and has long championed improvements to the officials development programs. Howard has also contributed to international volleyball as the Referee Manager at several international competitions hosted in BC. Beyond officiating, Howard has served on the board of directors of Volleyball BC and currently with Volleyball Canada. Eric Ens, long-time resident of Richmond, BC, founded the Air Attack Volleyball Club in 1989 with one team and the vision of building a volleyball community that prioritized youth development and city-wide promotion of the sport. Eric was a founding organizer of the Junior Girls (Grade 10) Volleyball Provincial Championships, and subsequently worked to ensure the event would be hosted in communities around the province. 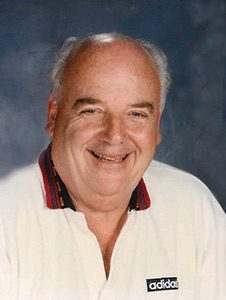 His 28 year legacy was evidenced in 2011 when Richmond schools sent a record five volleyball teams to the High School Provincial Championships, and by the fact that Air Attack is now one of the largest volleyball clubs in BC, with 20 club teams, a house league, and a mini volleyball program for 400 male and female athletes. Vic Lindal, a.k.a. “Mr. Volleyball”, is known as a visionary, leader, innovator, founder, coach, administrator, mentor, commentator, and referee. 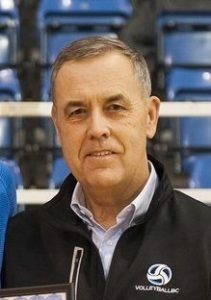 From starting the Winfield and Williams Lake Camps and Pacific Rim Championships, to setting the model for the Team BC program, to developing a training plan that led to BC’s double gold medal win at the 1975 Canada Games, to being a founding member of organizations such as BC Volleyball Association (now Volleyball BC), BC High School Volleyball programs, and Victoria Volleyball Association, it would be an understatement to say that Vic has been influential in the development of our sport in BC. Vic was inducted to the Volleyball Canada Hall of Fame in 2000 and the BC Sports Hall of Fame in 2001, and is still actively coaching today, most recently in Zimbabwe. Charles was a member of the first Canadian Men’s Volleyball Team to win a major Games medal with a bronze at the 1979 Pan Am Games. He went on to become the captain of Team Canada before retiring and later becoming Executive Director of the BC Volleyball Association (now Volleyball BC) in 1984. Key successes while at the helm of BCVA included the growth of adult recreational indoor and beach volleyball, coach training and development, and corporate sponsorships for major events, such as the Jose Cuervo Gold Cup. To this day, Charles continues to influence the sport in different ways as a Provincial Team and college coach, an early collaborator on the Long Term Volleyball Athlete Development model, and a well-known commentator for domestic, international and Olympic beach and indoor volleyball matches. Volleyball BC is proud to announce the inaugural class of inductees to the Volleyball BC Hall of Fame. Six extraordinary individuals and one unbeatable team will be honoured at the Hall of Fame and Excellence Awards Banquet on Saturday, January 10, 2015. Congratulations to Erminia Russo Thorpe, Mike Rockwell, Vale Savege, James Clive, Sandy Silver, Hugh Wong and the 2009/10 UBC Women’s Volleyball Team on their exemplary accomplishments. 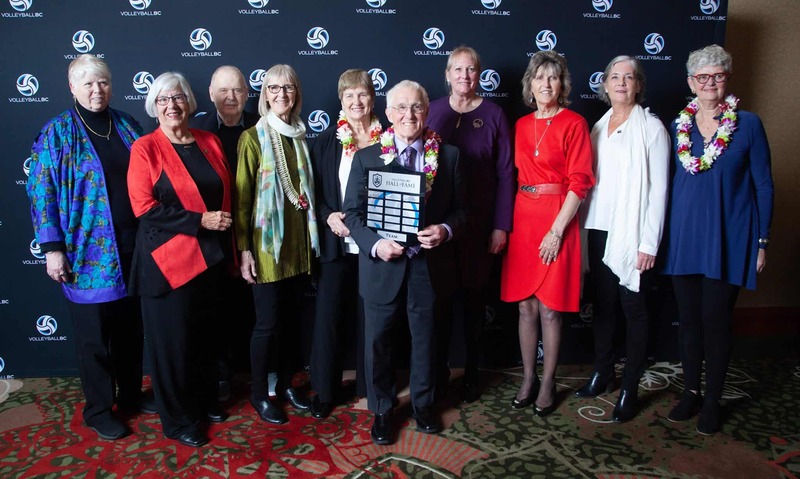 These inductees have raised the profile of the sport of volleyball, each in their own way, and are well deserving of recognition amongst the best of the best in the history of volleyball in BC. Likely one of the most accomplished and well-rounded volleyball athletes in Canadian history, Erminia Russo Thorpe holds a deserving place in the Hall of Fame. After being named a three-time Canada West All-Star and All-Canadian with the University of British Columbia (UBC), Erminia joined the national team for eight years and competed at the 1996 Olympics. She then played professional volleyball in France and became one of the top beach volleyball athletes in Canada before embarking on a successful coaching career. Erminia has been inducted into the UBC Sports Hall of Fame. Mike Rockwell has reached the highest levels of certification for officiating in both indoor and beach volleyball, an extremely rare accomplishment. Representing Canada as an official, Mike has refereed international FIVB, NORCECA, and Pacific Rim indoor competitions, as well as international beach matches with the FIVB and Pan American Games. 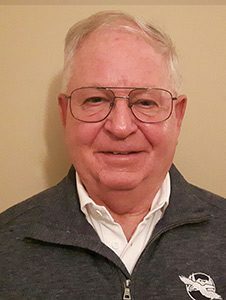 He has also been a dedicated mentor to young officials, and has spent over 35 years as a volunteer administrator with the BCO Volleyball Club. 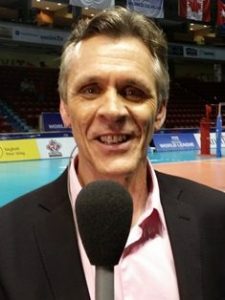 Mike is also well known as a coach, and his athletic accomplishments have been recognized in Volleyball Canada’s Hall of Fame. Well-known as the first woman ever to referee an international volleyball match at the 1981 Pacific Rim Tournament in Japan, Vale Savege has dedicated over 40 years to developing the provincial and national officials programs. Overwhelmingly, Vale is known for being a mentor and leader amongst officials and an advocate for women in officiating. While Vale is being honoured for her indelible mark on the volleyball officiating community in BC and across the country, she is also recognized as an athlete, coach and administrator, and has been honoured in Volleyball Canada’s Hall of Fame as a builder. Pioneer and ambassador for beach volleyball, James “Jim” Clive is credited for bringing the sport to BC in 1978 and he has worked tirelessly to grow the discipline ever since. Athlete, mentor, coach, coordinator and advocate, Jim was instrumental in installing the first permanent beach court posts in Vancouver. He also founded the Kits Beach Volleyball Association to ensure there was an organization in place to continue growing the sport. Thanks to Jim’s dedication, the popularity of beach volleyball has flourished and Kitsilano Beach is now a training ground for up and coming elite beach athletes. Unwavering commitment to being the best that she can be and inspiring others to do the same; these have been hallmarks of Sandy Silver’s career in volleyball – first as an athlete, then as referee and coach, and more recently as an administrator. Sandy is a mentor for female Canadian Interuniversity Sport (CIS) coaches across Canada and she founded an endowment fund that provides scholarships for female UBC volleyball athletes. Her contributions also reach beyond volleyball in her lifelong advocacy for social justice and gender equity in sport, and Sandy has been recognized in Volleyball Canada’s Hall of Fame as a builder. 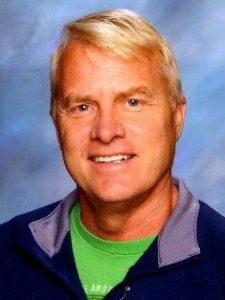 What started out as a volunteer position coaching a high school volleyball team turned out to be a lifetime dedicated to the development of our sport. 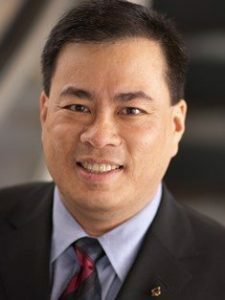 Hugh Wong coached high school and college teams, then became a volunteer administrator with Volleyball BC, before founding the Kelowna Volleyball Club, and moving on to become the President of Volleyball Canada. Hugh’s footprint continues to expand as he shifts his focus internationally with FIVB and NORCECA. At home or around the world, Hugh’s passion has been and continues to be building the sport of volleyball. The 2009/10 UBC Women’s Volleyball Team accomplished an incredible feat when they recorded a perfect 25-0 season, winning the CIS Championship for the third year in a row. The accolades from this team were numerous with Doug Reimer winning CIS Coach of the Year, Claire Hanna winning CIS Libero of the year, and Liz Cordonier winning the CIS Championship MVP, CIS Player of the Year, and CIS Female Athlete of the Year. From this team, 5 players went on to play for Canada on the Women’s National Volleyball Team. Read about the 2015 Hall of Fame induction ceremony.